Beyond the formal educational contexts of school and university, NAWE writers are involved with writing projects in many other settings within the community. These include working with youth groups and adult education, in healthcare and prisons. NAWE has commissioned a guide to 'getting started as a writer in the community', written by River Wolton and downloadable here as a pdf. Also now available below is the briefing document on Writing Residencies, written by Sarah Butler. P ublished in Writing in Education No. 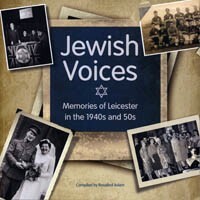 48, Rosalind Adam's article 'Jewish Voices', describes the evolution of a book capturing memories of Leicester in the 1940s and 50s, and offers a useful guide to how a workshop-based project can lead to a successful publishing venture. NAWE has published a number of articles on the role of the writers' group (John Alcock) and the particular value of women's groups (Rose Flint, Debjani Chatterjee) and black writers' groups (Nicole Moore). Find these and many more in the NAWE Magazine. If you are interested in finding a writers' group within your region, the National Association of Writers Groups is a good place to start. Issue No. 47 of Writing in Education focused on Writing in the Community. Copies are available to order, £4 post free in the UK. The National Association of Writers’ Groups (NAWG) has over 150 affiliated groups and over 100 associate (individual) members spread across the United Kingdom.